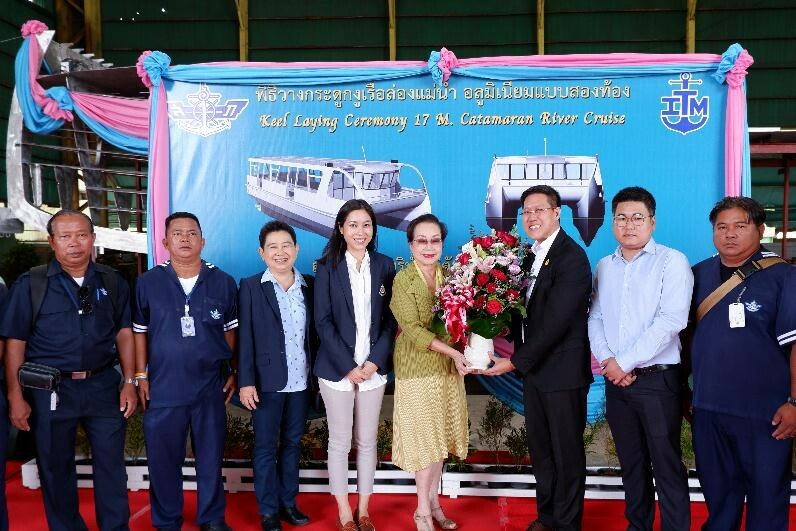 Khun Aphiwat Wutthinansurasit Chief Operating Officer of EA Mechanics presented a flower bouquet to congratulate with the owner of the new Supatra-Icon Catamaran River Cruise. 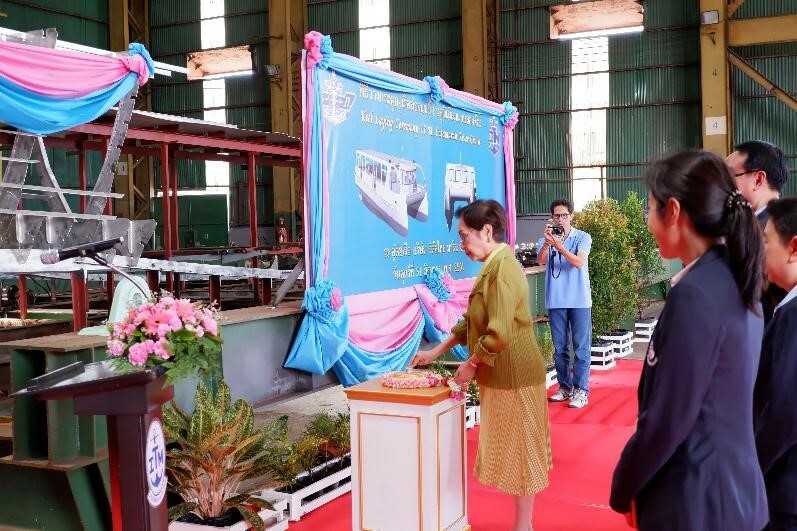 On Friday 31st, August 2018 – EA Mechanics was invited to participate with the keel laying of Suaptra-Icon Catamaran River Cruise at Italthai Marine Dockyard, Tay baan, Samut Prakan. 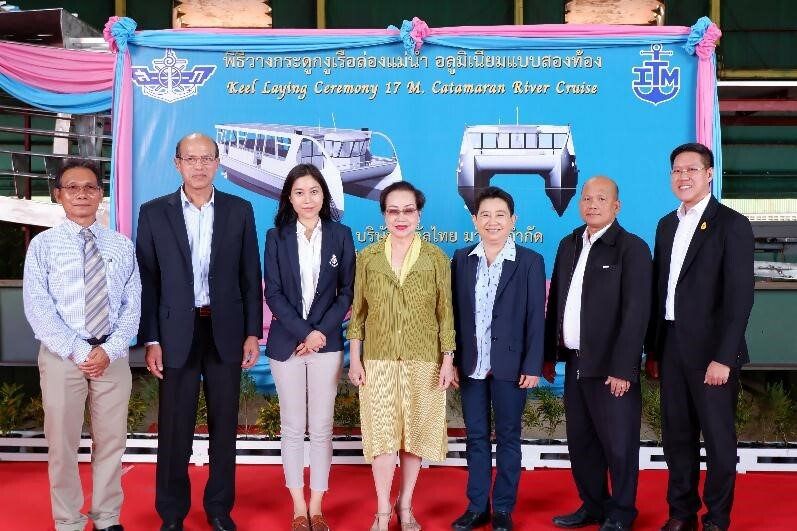 The keel laying ceremony of Supatra-Icon Catamaran River Cruise led by Khun Supapan Pichaironarongsongkram the President of Supatra Co., Ltd. together with Khun Natapree Pichaironarongsongkram Managing Director of Supatra Real Estate Co., Ltd. Khun Jidapa Sutsanguan Managing Director and Lt. Pisit Rojwijitr Operation Manager of Supatra Co., Ltd. As well as Chao Phraya Express Boat representative Khun Farn Sritrairatana Executive Director and Khun Charoenporn Charoentam, Managing Director and Khun Piriya Vachajitpan, Managing Director of Chao Phraya Tourist Boat, the Buddhist keel laying ceremony is intended to strengthen the wealth of this shipbuilding and all crew members. Executive management from Supatra, Chao Phraya Express Boat, Italthai Marine with EA Mechanics representative. Khun Aphiwat Wutthinansurasit, Chief Operating Officer of EA Mechanics Co., Ltd. and team presented a flower bouquet to congratulate and photo taken with executives of Supatra, Chao Phraya Express Boat and Italthai Marine during the event. The Keel Laying of Supatra-Icon Catamaran River Cruise. The Supatra-Icon Catamaran River Cruise is a new vessel of Supatra Co., Ltd. Which this shipbuilding project purpose for accommodate more tourists in soon future and promote Chao Phraya River Cruise, the project is the collaboration between Supatra and The Icon Siam. Process of shipbuilding has a professional shipyard and uses high quality materials, including 2 units of Scania engines model DI09 070M powered 221 kW. 300 hp. at 1800 rpm. The best characteristics of Scania Marine Engine is matching with every kind of workboat. Both of excellent fuel saving and longer service interval maintenance are the most uniqueness of the engine. Beside with many good advantages as compact ratio, high toque at low rpm, electronic control unit innovation (ECU) and modular parts system. 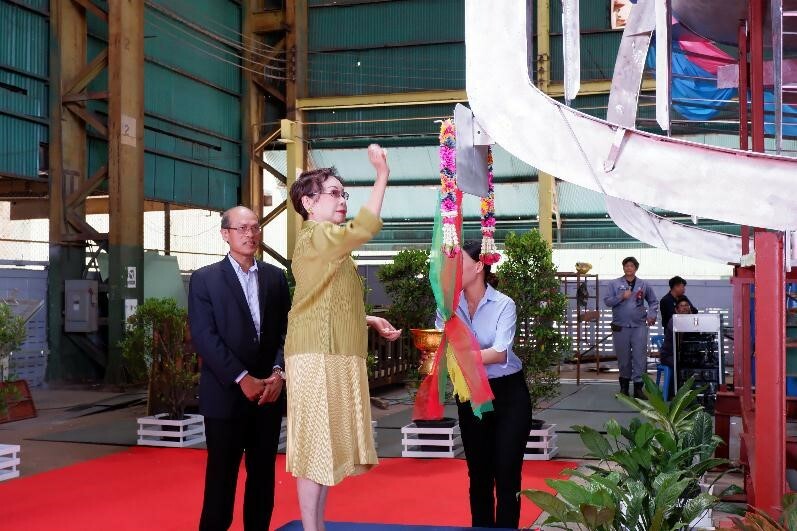 Khun Supapan Pichaironarongsongkram the President of Supatra, led the Buddhist keel laying ceremony. 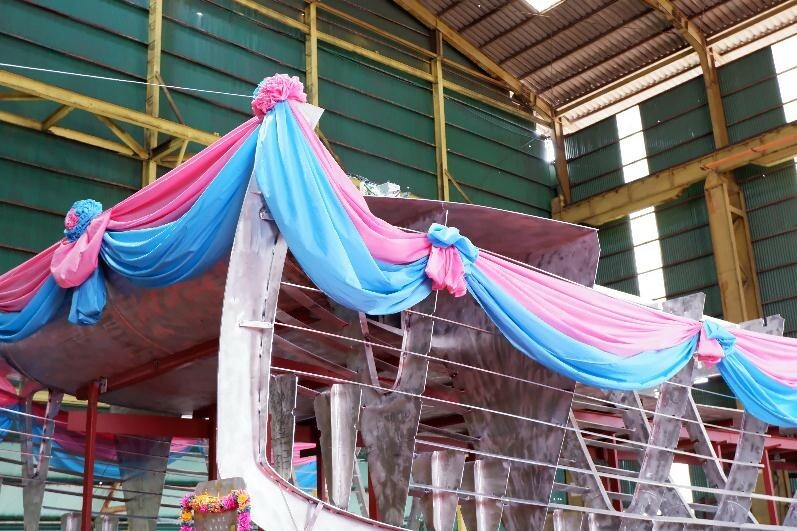 The keel laying of Supatra-Icon Catamaran River Cruise is an auspicious start of the shipbuilding, a traditional ceremony involving the crew’s confidence that God will protect them during the cruise. The ceremony will be held every time a new shipbuilding starts. All guests involved with this project came to congratulate with the owner of the vessel.